Anybody who has been browsing the internet in recent years may have come across a certain scene from Der Untergang (Downfall), a German flick from 2004 based off a book chronicling the last days of Adolf Hitler and his elites in a bunker during World War II. If you speak German, or have seen the movie with subtitles, you understand that Hitler is having a complete breakdown, finally coming to the realization that he has lost the war. It’s become an internet phenomenon, with the subtitles constantly rearranged to spoof everything from the Detroit Lions going 0-16 to Hitler getting banned from X-Box Live. In this version, the subtitles have been redone to exclaim the warlord’s reaction to his favorite new pony car, the 2013 Ford Shelby GT500, getting trumped by the Chevrolet Camaro ZL1 in every single comparison test performed by a publication so far. Enjoy! Oh I can feel Hitler’s pain. The master race is Camaro vs mustang. Incidentally the movie, 2004’s Downfall, is VERY powerful. Well worth the real subtitles. This is really stupid and in poor taste. Who comes up with this nonsense and why? Can’t you guys think of anything more interesting like maybe a twin-turbo, DOHC V8 in the Gen 7 Corvette with a 7-speed double clutch automatic and all-wheel drive? A DOHC V8 would result in a taller, wider, longer, and heavier block that wouldn’t fit in the engine bay; hence an OHV valvetrain. I have no argument with DSG in the C7, but AWD would mean the GTR wouldn’t have a business case. Let some one post this video on YouTube… it is awesome!!! Exceptionally poor taste using a “nazi” persona. Irrespective of any counter-argument, Hitler is an important historical figure of the last 100 years and will remain so as an indullable legacy upon human history. For figures such as Hitler, people of today see the effects of satirizing the character of Hitler as a suitable means with which to diminish the overbearing and well documented actions of him and his party. Such satire won’t erase Hiltler from history, but to permanately isolate the charater of Hitler in a glass jar; protecting him from the liberating and very human effects of humour, is to seal Hitler from any form of comedy that would otherwise diminish his ability to scare us nearly 70 years after his death. This rather old meme from the film “Downfall” has been reused thousands of times for just as many diverse topics. None of the resulting YT clips have vaulted Hitler as being anything more than what history remembers him as, and for a brief momment, a distressed Ford fanboy. Grawdaddy, we were thinking to do COTD pieces, but you would win too much. Give the COTD awards to other deserving users. If you can find me one of these, I’ll take it as an indefinate COTD prize. Did even Hitler forget about the 12+ year old platform that the Mustang is on? Is that available with e assist? The video is funny, but let’s get this straight – the GT500 won almost every performance test. Sure the magazines chose the ZL1, but it was primarily for being comfortable. Performance-wise, the ZL1 lost. 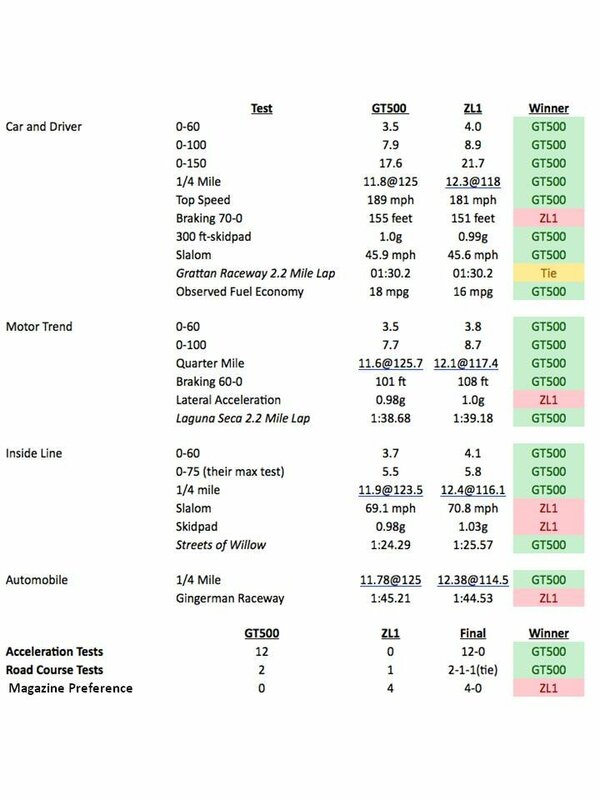 I don’t know what tests you were reading but the mustang only dominated the acceleration tests, and that’s it. Braking, Handling, ride, control, grip, fun to drive factor, price were the Camaro’s strengths. In both the Motor Trend and Car and Driver tests, the Camaro was able to match the Mustangs lap times, despite being the slower car. hardly being the worse car performance wise. The mustang’s chassis is overwhelmed with that much power. It doesn’t have the grip or the suspension to handle that much. Sorry, but the video is full of GM fan boy-ism. Hitler claims how the ZL1 beat the GT500 in all the comparisons, but as Harry Winston showed in most of the tests the GT500 aced the ZL1, (in some of the magazines, the GT500 was actually better in handling related categories) and in both the Motor Trend and Edmunds tests was actually faster around the tracks the cars were tested on. Hitler’s comments on how a chip and pulley would make the ZL1 beat the GT500 kind of swings both ways, there are videos on Youtube of mildly modified Boss 302s beating the ZL1 and nothing says suspension modifications wouldn’t allow the GT500 to ace the Camaro in handling or the road course. I also found the reasoning for why the magazines awarded the ZL1 as the victor kind of subjective, the reasoning for all four being some where around the Camaro was more “easier to live with” (A better daily driver) and better handling. That’s not a wrong answer at all, but someone could easily also say the GT500 beats the ZL1 in most tested categories and empirically only lags slightly in most of the categories the ZL1 beats it in, making it the better car which also wouldn’t be a wrong answer. An example of an objective victory would be the comparison of the ’99-’04 Mustang GTs vs. the LS1 F-bodies where you had a 14 second car vs. a 13 second one and the winner is a no brainer there (Ironically, I recall from memory that some magazines actually said those late model SN-95 Mustangs were actually better handling then 4th gen F-bodies, but that factor seemed to be glossed over when compared to this GT500 vs. ZL1 comparisona where handling seems to be a key factor).